Cats – particularly feral cats – are a leading cause of bird deaths. A recent report by Smithsonian scientists and the U.S. Fish and Wildlife Service found that cats kill an estimated 2.4 billion a year, underscoring the need for effective solutions to protect wild birds and cats alike. Ted Williams, a freelance writer and long time columnist for Audubon Magazine, recently wrote an op-ed for the Orlando Sentinel entitled Trap, neuter, return programs make feral-cat problem worse. His central point was about the ineffectiveness of trap-neuter-return programs and the effects of feral cats on bird populations. The original article (PDF) (which has since been edited by the Orlando Sentinel) was misconstrued as providing a “do-it-yourself” recipe for killing feral cats. Feral cat activists started a petition calling for Audubon to break ties with Ted Williams. National Audubon responded with the following statement, posted both on Facebook and on their website. The National Audubon Society is unequivocal on the important issue of cat and bird safety: We reject the idea of people taking matters into their own hands in ways that can harm neighbors’ pets – or any cats. Audubon strongly believes that cats belong indoors. That’s safer for them and for the birds. Feral and free-roaming cats are subject to injury, disease, and predation. We urge communities around the country to adopt effective measures to counter problems suffered and caused by cats and to vigorously enforce existing rules and procedures. Ted Williams is a freelance writer who published a personal opinion piece in the Orlando Sentinel. In the course of the original piece, which has since been edited by the Orlando Sentinel, Mr. Williams described using over-the-counter drugs to poison cats. And because of Mr. Williams’ stated affiliation with Audubon in that original piece, some readers assumed that Audubon was endorsing this approach. We do not. We regret any misimpression that Mr. Williams was speaking for us in any way: He wasn’t. Audubon magazine today suspended his work and will remove him as “Editor at Large” from the masthead pending further review. Mr. Williams is not an Audubon employee. He is a freelance writer and a conservationist who has written for Audubon for 33 years. He writes for numerous publications. We fully understand the gravity of the issue of the threats cats present to birds. Cats – particularly feral cats – are a leading cause of bird deaths. National Audubon Society has long supported a “Cats Indoors” campaign urging pet owners to keep their cats indoors for the safety of both their pets and birds. Audubon has guidelines on how to keep both birds and cats safe at www.audubon.org. We’ve had this guidance on our web site for years and we think it’s good, common sense. A recent report by Smithsonian scientists and the U.S. Fish and Wildlife Service found that cats kill an estimated 2.4 billion birds each year, underscoring the need for effective solutions to protect wild birds and cats alike. But backyard poisoning isn’t the answer and we want to make it absolutely clear we don’t support that idea. On behalf of Northeast PA Audubon, I am writing to express our extreme disappointment with National Audubon’s short-sighted response to the article published in the Orlando Sentinel by Ted Williams. Ted William’s articles in Audubon Magazine are well-researched, well-reasoned, and written with a strong voice. We need more of this kind of writing, not less. Unfortunately a newspaper opinion column doesn’t allow for the same in-depth treatment as does Audubon Magazine. But at least it’s bringing this important issue to public attention. But instead of taking advantage of the opportunity to engage in real debate and discussion, National Audubon has responded by going on the defensive and throwing Ted Williams under the bus. The way you’ve attempted to distance yourself from Ted Williams is disgraceful (especially given that the Sentinel article nowhere states that Ted was speaking on behalf of Audubon). We find this unprincipled and lacking in integrity — and quite frankly, we expect better from you. Feral cats are a real problem, killing billions of birds in the United States annually. While an emotional issue for many, an informed public discussion of the issue and alternatives involved is essential if progress is to be made. There is still time to turn this around. We strongly encourage you to do the right thing. To be clear, we are not advocating that people “take matters into their own hands” and poison feral cats. Such decisions belong to wildlife management officials. And these decisions should be informed by the facts. Let’s pull the throttle back and have an informed public discussion. Comments? Post a response on the Northeast PA Audubon Facebook page. Why is the public in the dark on gas development plans for the Loyalsock State Forest? Tell Gov. Corbett, Department of Conservation and Natural Resources (DCNR) Secretary Richard Allan, and your state legislators that the Loyalsock is too important to allow gas development there — without first consulting the Commonwealth’s citizens. DCNR has been negotiating extensive new gas development with Anadarko Petroleum on an extraordinary 18,870-acre tract of the Loyalsock in Lycoming County — and rejecting calls for public involvement and input — in spite of the fact that an unusual land deed gives DCNR the ability to restrict or forbid any access by Anadarko to the surface of the tract. The public — who hike, fish, hunt, swim, bird watch, and picnic in the forest — has a right to input on this resource belonging to all Pennsylvanians. Features include the renowned Rock Run and other streams designated “Exceptional Value,” the highest designation for Commonwealth waterways. Home to an Audubon Society-designated important bird habitat area, protecting forest species at risk. Includes the popular Old Loggers’ Path hiking trail and Devil’s Elbow Natural Area. Due to a special provision in its land deed, the Commonwealth has the legal power to prevent gas development in the areas in which Anadarko Petroleum wants to drill. Tell the governor, the secretary, and your legislators now — The protection of one of the last gems of our forest depends on them. Drillers already have access to one-third of our state forest lands equaling 700,000 acres. We need enhanced protections limiting habitat fragmentation and stream impacts on our cherished public lands, not more gas development. The Loyalsock is one of the last remaining sanctuaries in our renowned state forest system for wildlife, recreation, tourism, and pristine natural beauty. This special place is too important to risk — for us and for the future of all Pennsylvanians. 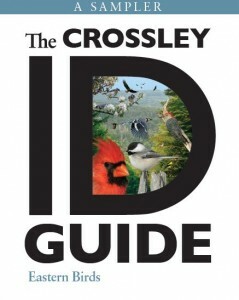 The Crossley ID Guide series is one of the most innovative and exciting contributions to bird books in recent memory. When the Eastern Birds book was launched in spring 2011, it quickly rose to prominence and became a must-have item on any serious birder’s shelf. With the release of volume 2 in the series — The Crossley ID Guide: Raptors — almost upon us, Princeton University Press is celebrating by giving away two extended samplers. They are in a PDF format, so you can download them to any internet-enabled device — computers, tablets, phones. Simply right click on the links below and choose “Save as…” These files are clickable, emailable, shareable. 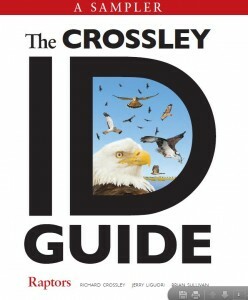 They are the perfect introduction to The Crossley ID Guide series and are in and of themselves useful tools for any bird watcher. Includes plates for the top 25 visitors to garden feeders in the Northeast, according to data from eBird/Cornell Lab of Ornithology. 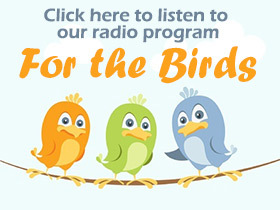 This file is particularly useful for teachers and students exploring birds in the backyard or for anyone curious about their most common backyard friends. Includes over a dozen panoramic vistas of raptors — samples of the double page spread images from the book, due to be released April 7, 2013.